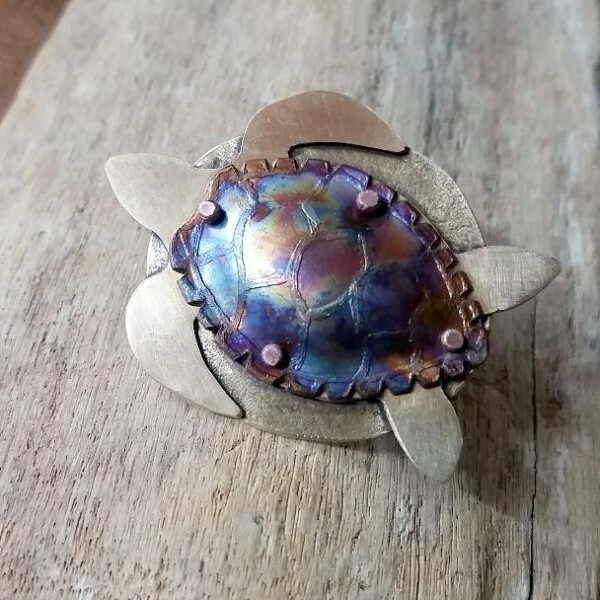 Beautiful brass sea turtle with etched copper shell. Flame painted patina~ no two alike. Copper Rivets. 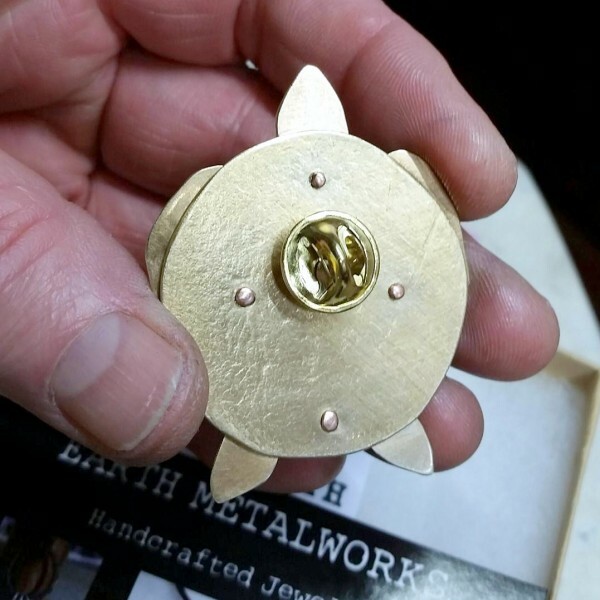 Tie tack pin back.